Found this in my inbox. I was thinking about saving it for next April, but then decided I might forget so I better use it now. You can click to enlarge and get a clearer image. This is somewhat clever, though I don’t like line 6c since it indirectly implies that McCain would have been better than Obama. But let’s just enjoy a good cartoon and not dwell on the fact that there was no good choice in 2008. Hi. 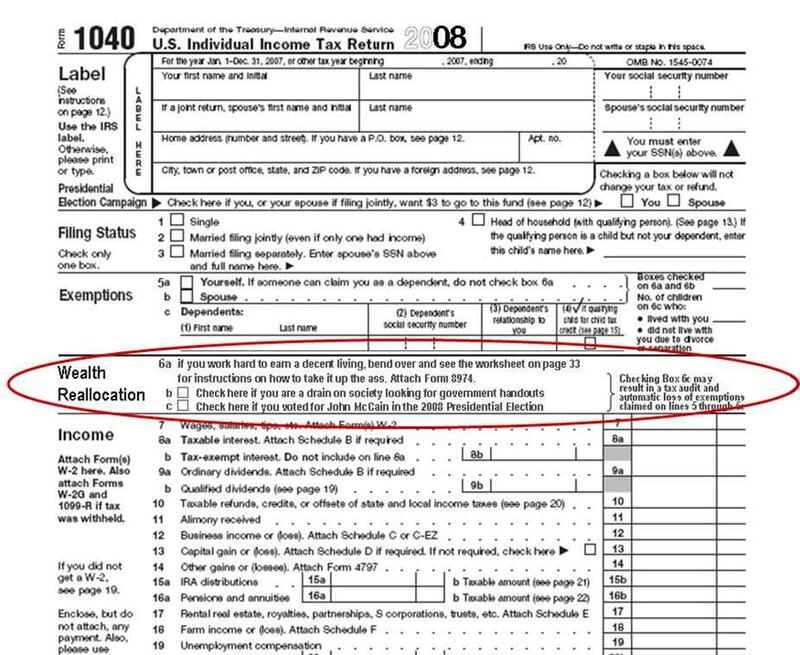 You can find a blank Fillable 2012 Form 1040 here. You can fill out the form, save it, fax it, and email it. Please feel free to use it. There hasn’t been a good choice in a long time!